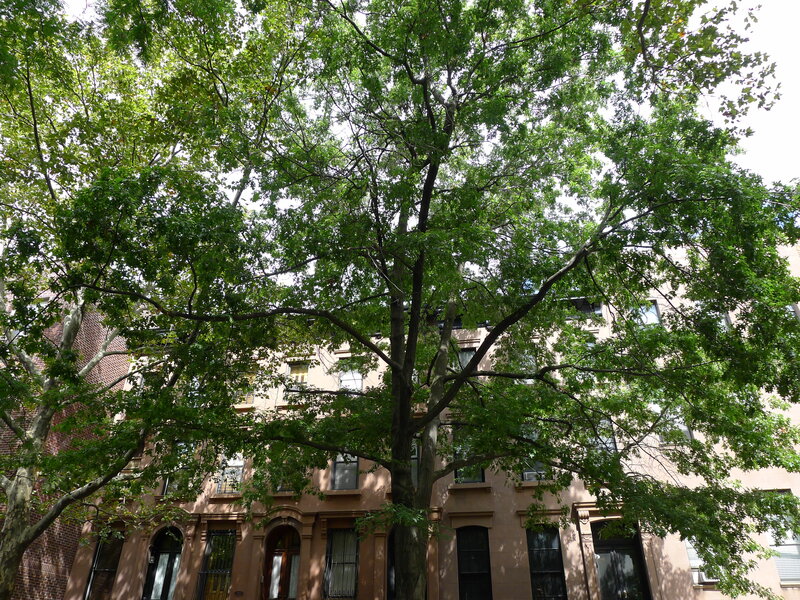 New York City isn’t all skyscrapers, office blocks and coffee shops – believe it or not, there are actually a few trees here. 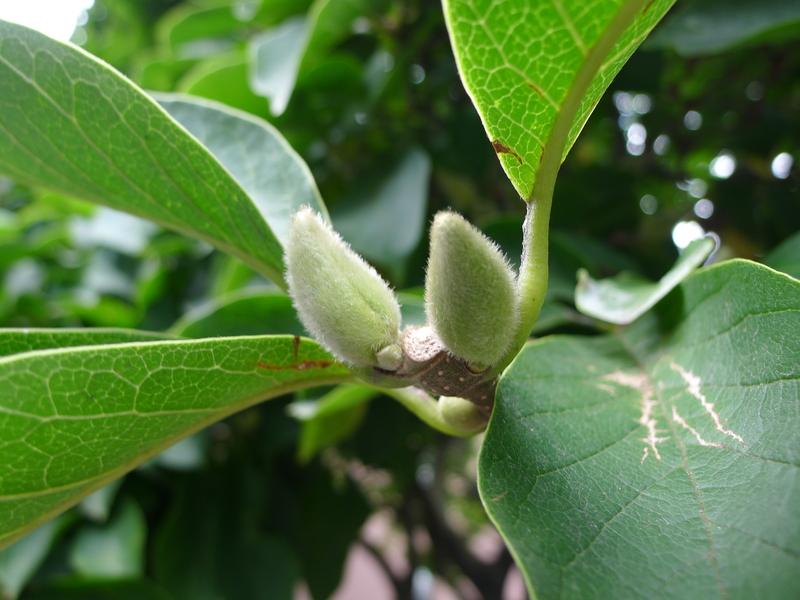 But before today, I rarely looked at them – and definitely had no idea what they were. 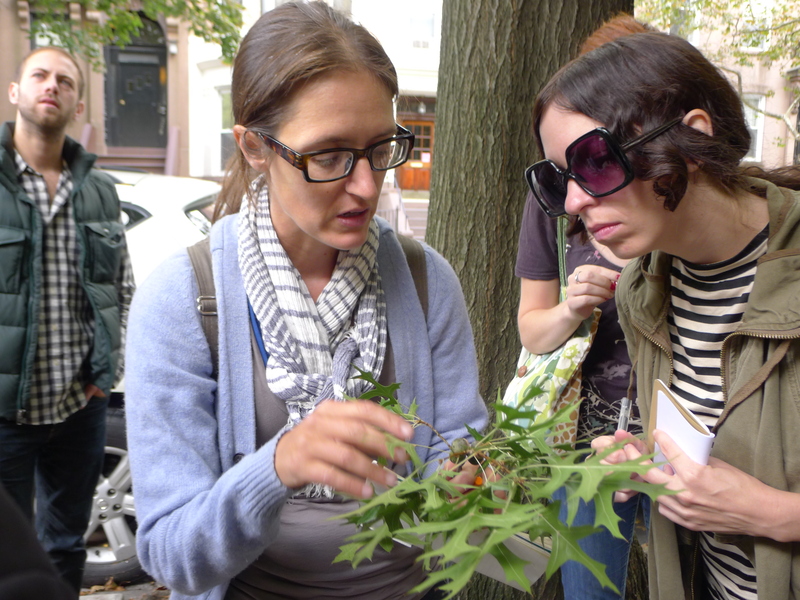 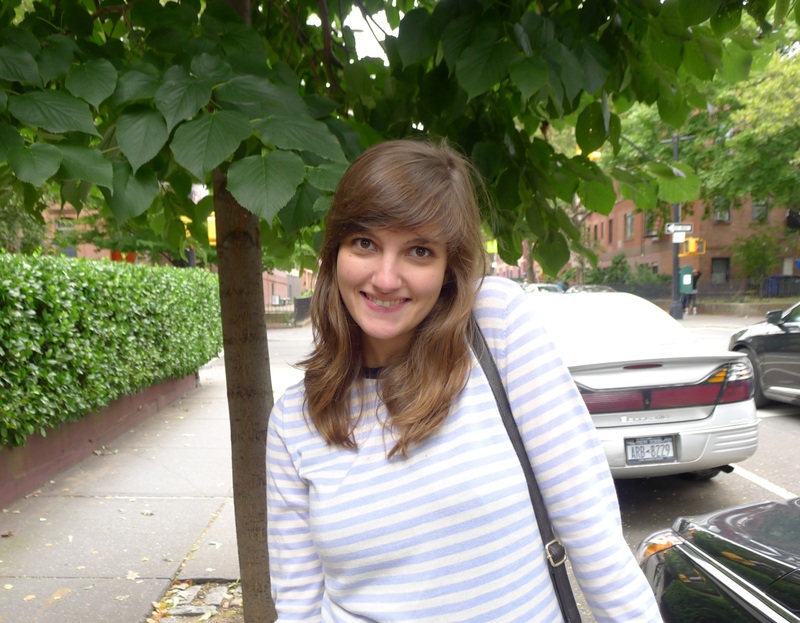 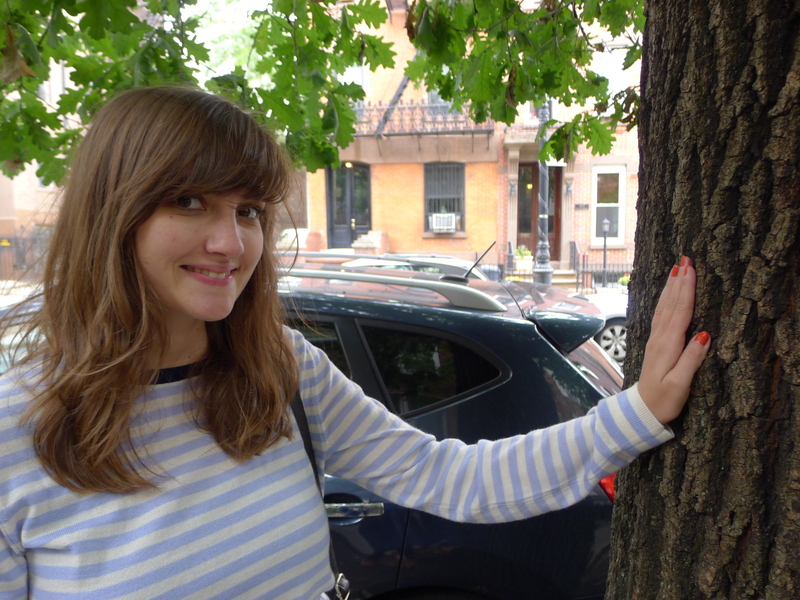 This morning, Hillary and I headed to Carroll Gardens in Brooklyn to wander the beautiful brownstone blocks to learn how to identify the species lining them. 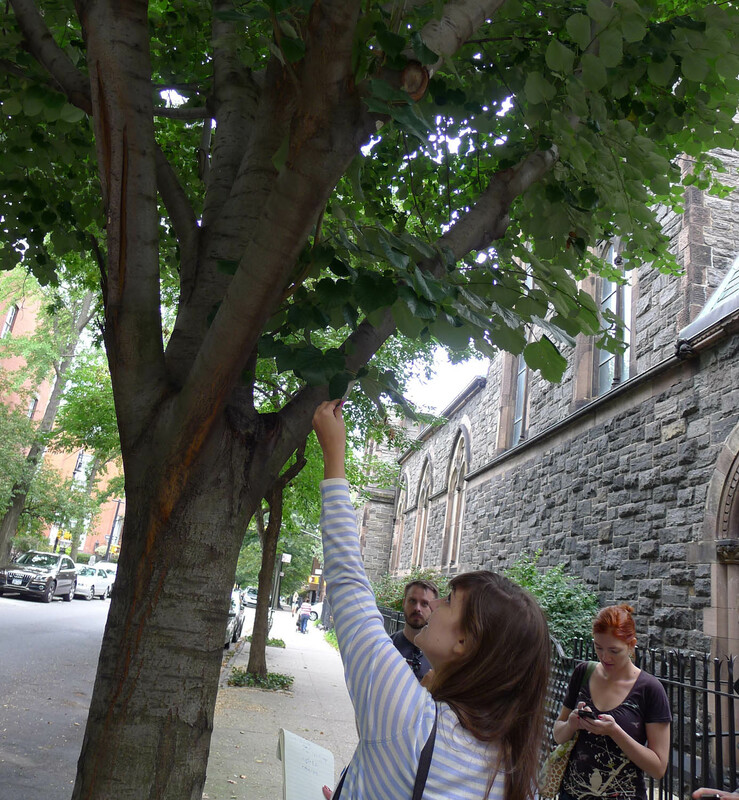 We joined a teacher, Lisa, and a group of fellow tree rookies for the class, which was another brilliant Brooklyn Brainery creation. 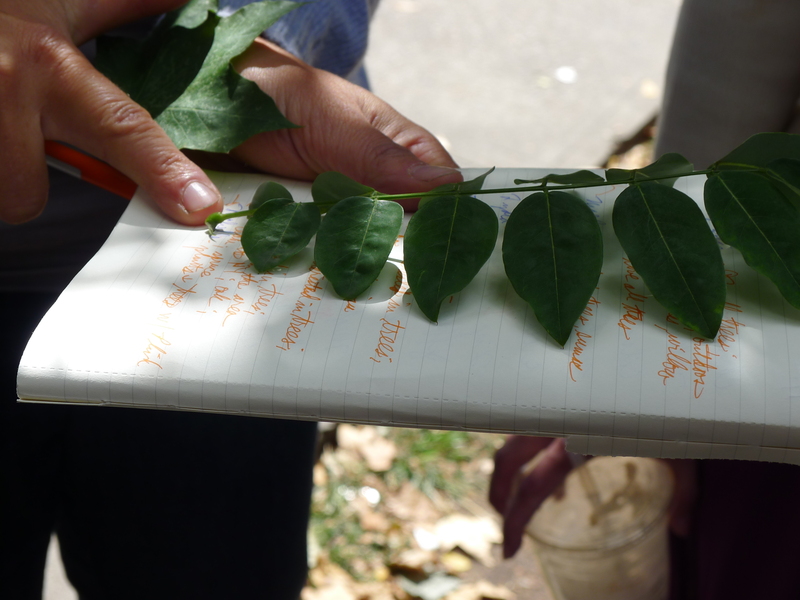 We meandered several blocks from the main park, looking at the trees, learning their names, histories and how to tell them apart based on their leaf shape, bark type, branch form, seeds and buds. 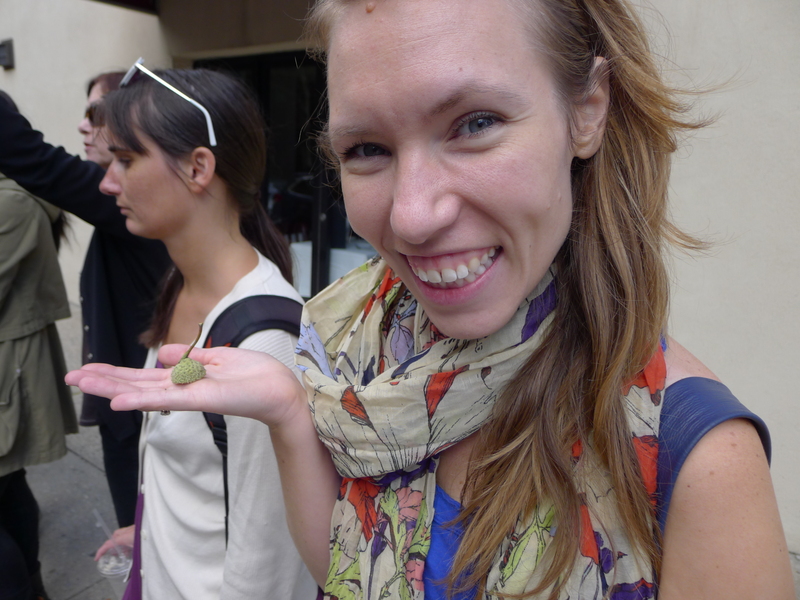 What was most interesting to me was just how many disparate species there were in just a few short blocks. 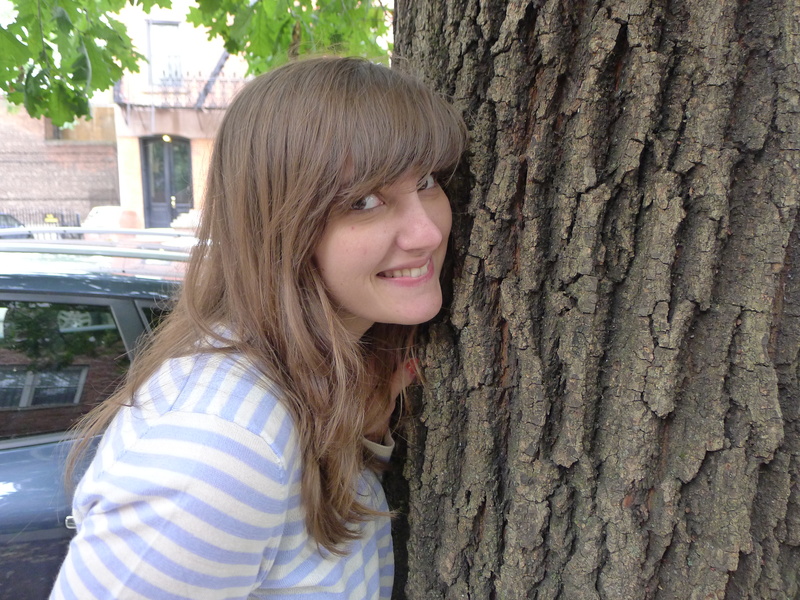 And they were all so pretty. 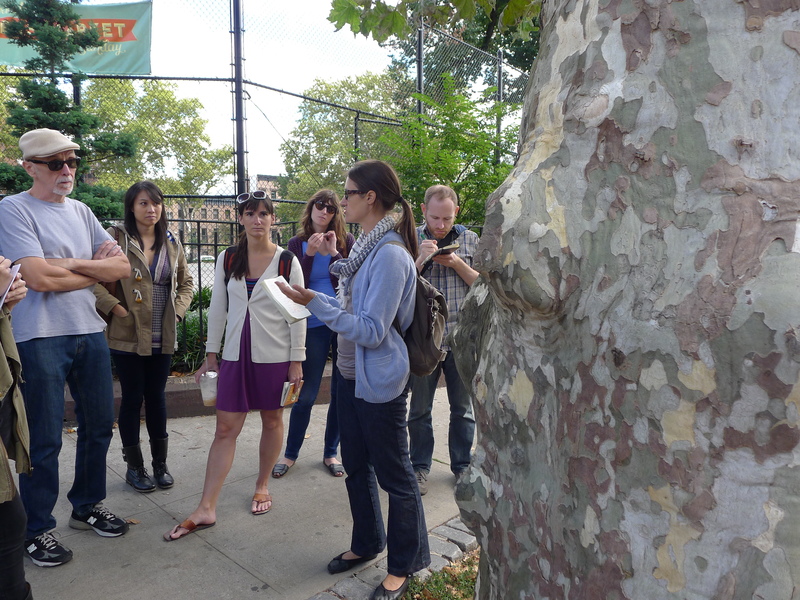 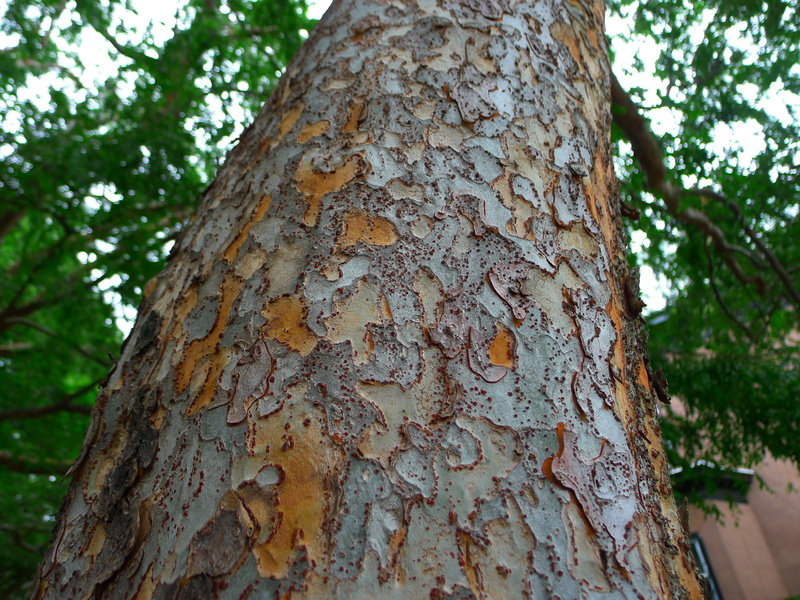 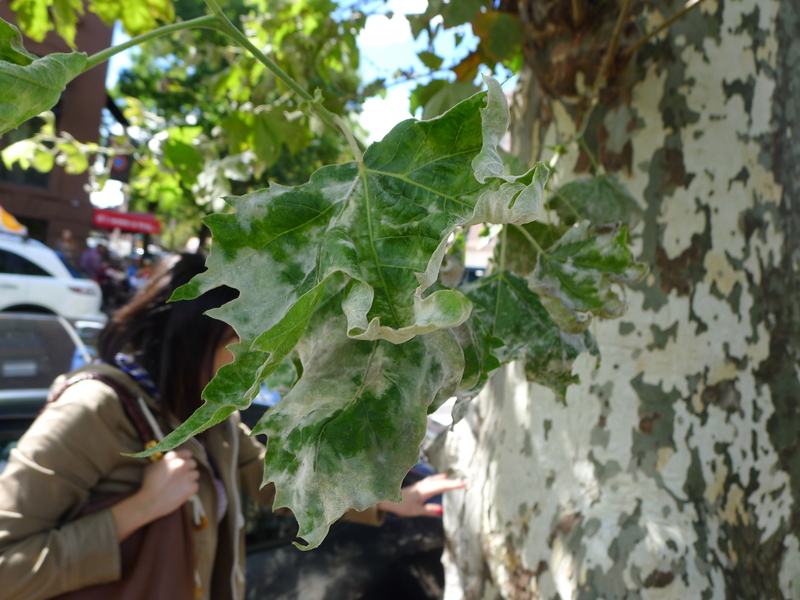 We learned that the most common tree in the city is the London Plane, recognizable by its camouflage bark. 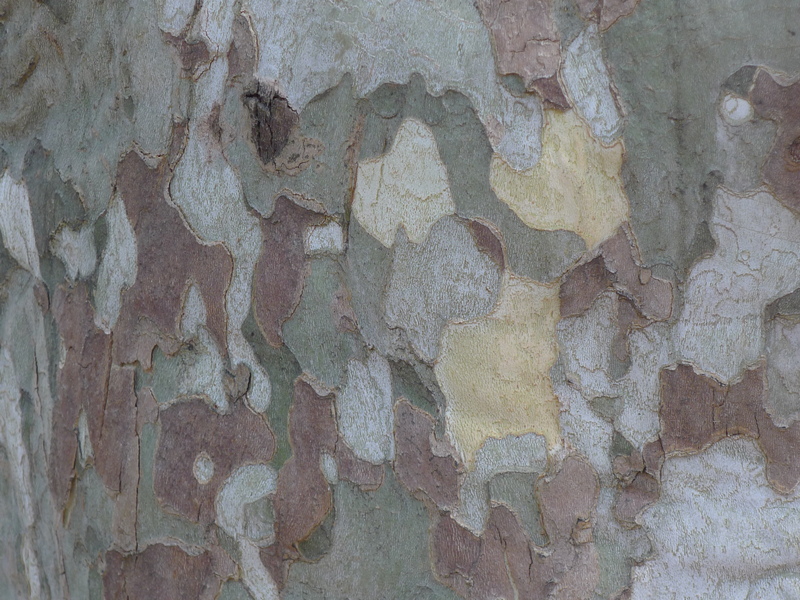 I know camouflage material is supposed to resemble nature and yet have you actually ever seen that camouflage pattern in nature?! 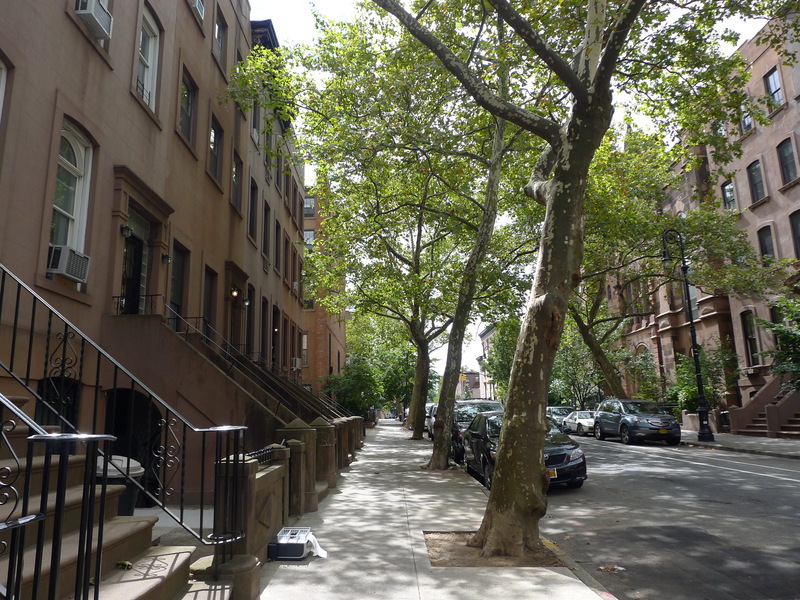 But look – it actually does exist. 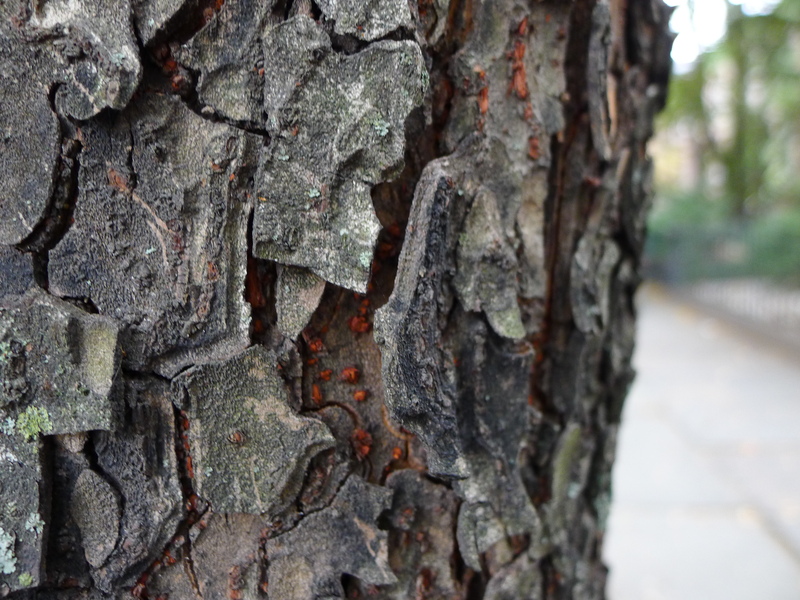 Lisa told us to look out for the bark during the rain when the incredible colours pop even more. 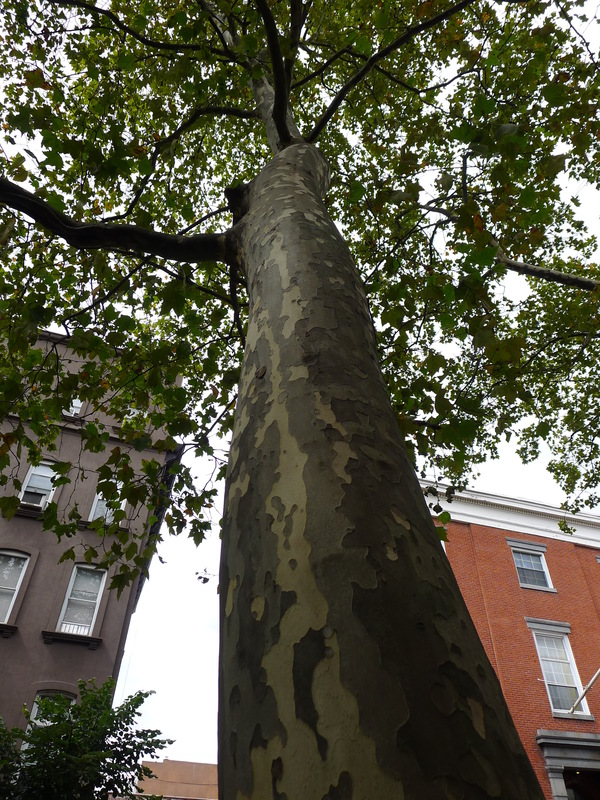 I also liked the history of the London Plane because it’s a British creation with American influences (like mee). 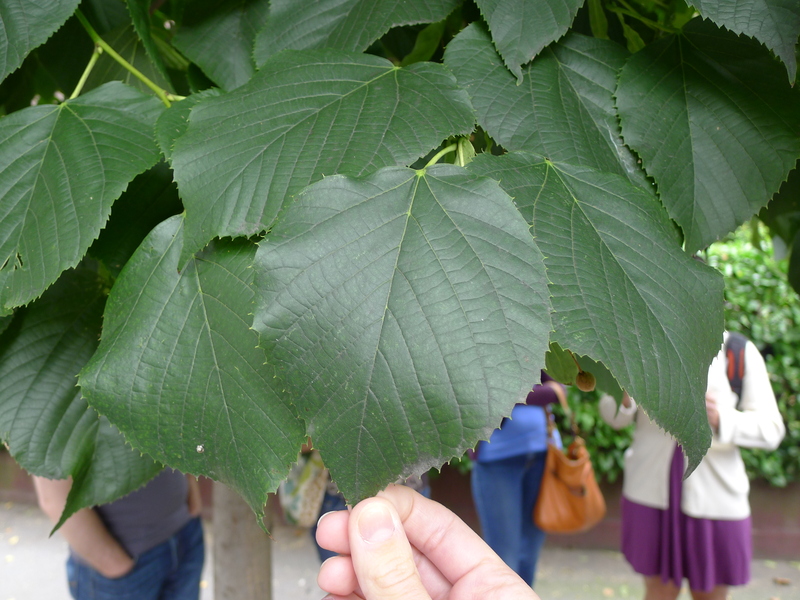 Years ago, U.S. sycamores were taken from the States to Kew Gardens in London and planted near Oriental Plane trees – and the two species led to a creation of a third, the London Plane. 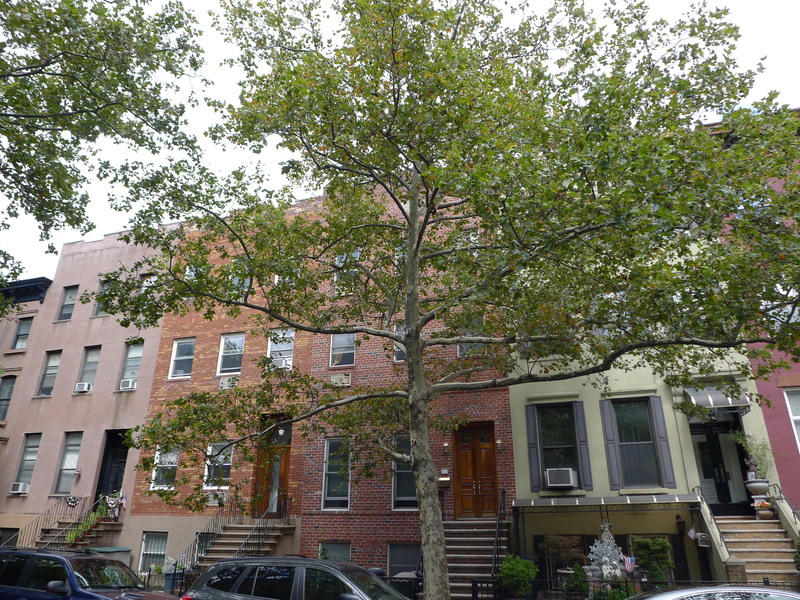 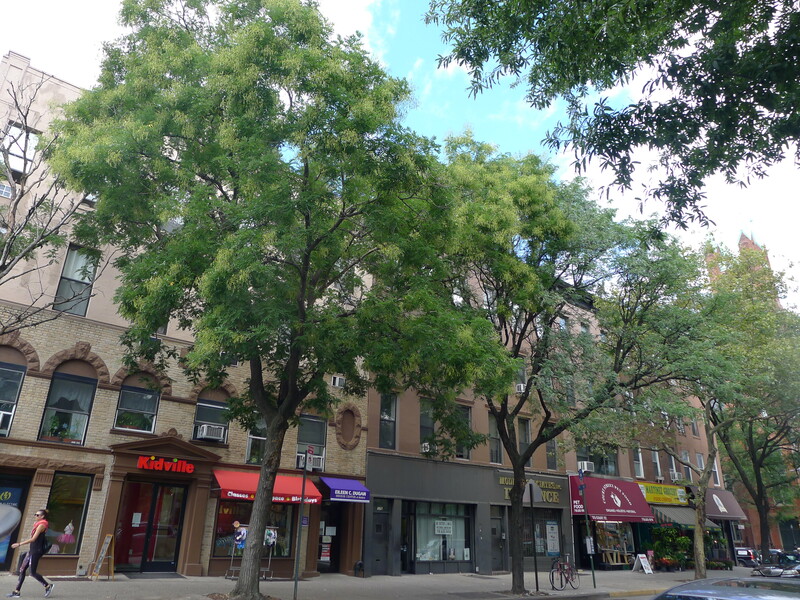 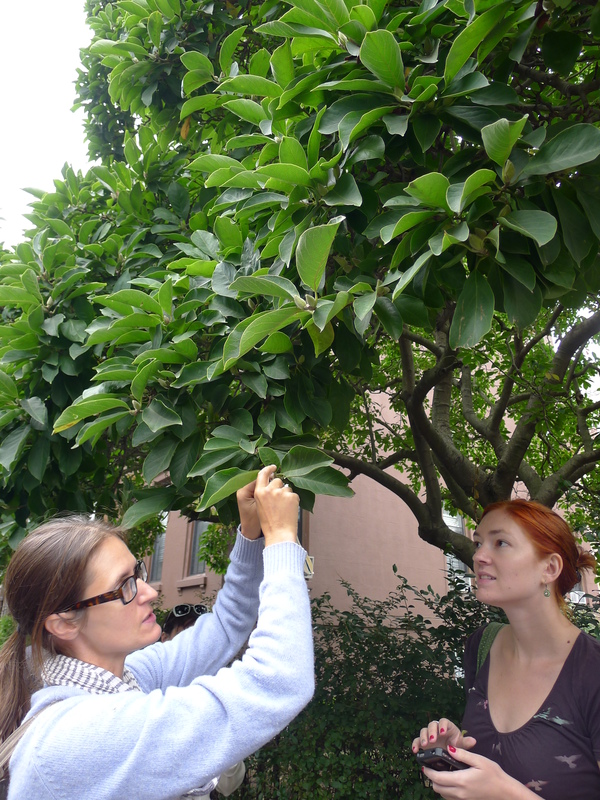 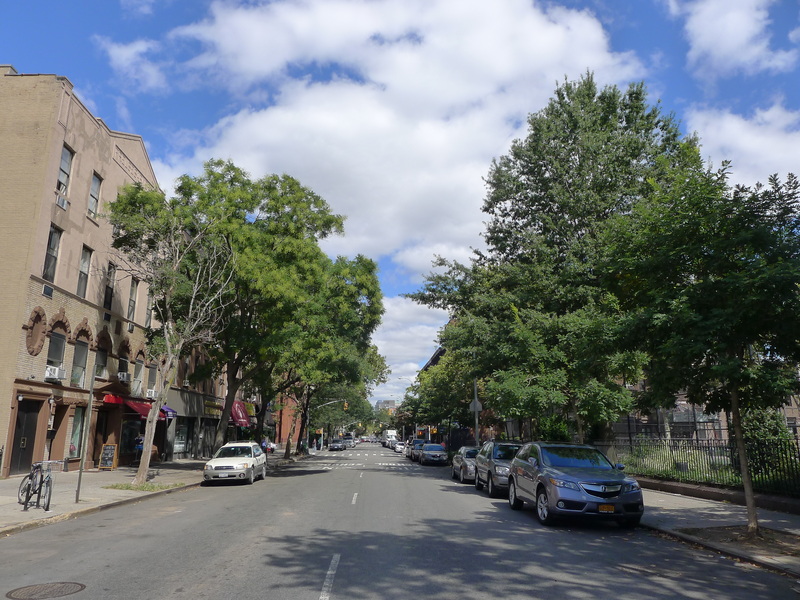 It’s now the most planted tree in the city – mostly because it copes well with pollution and doesn’t cause sidewalk upheaval with its roots. 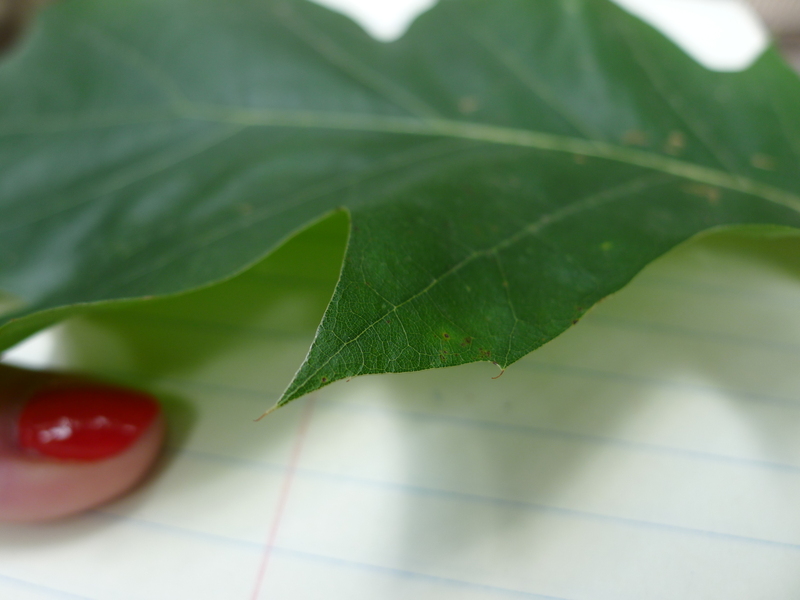 Interestingly, despite its British connections, its leaf is the logo of the New York City Parks Department. 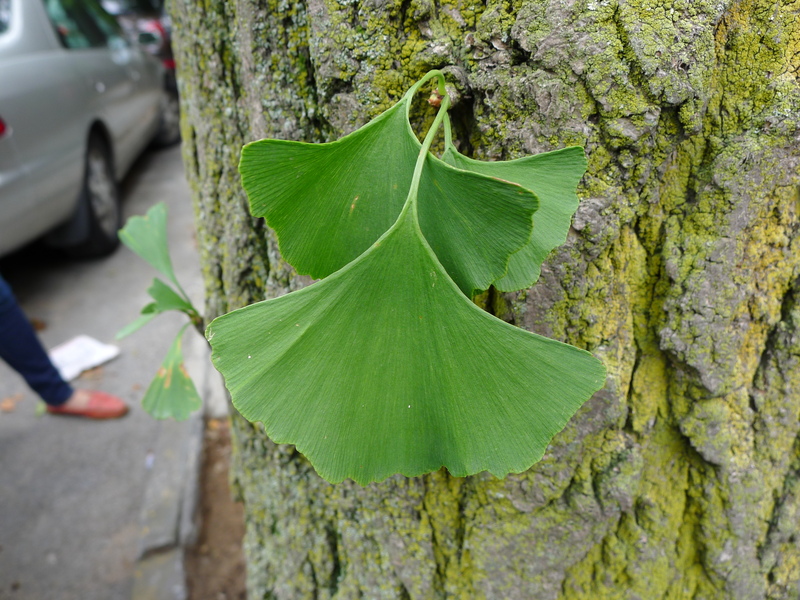 Another of my favorites was the Ginkgo tree which had large, paddle-like leaves and which are more widely planted in Chinatown in Manhattan. 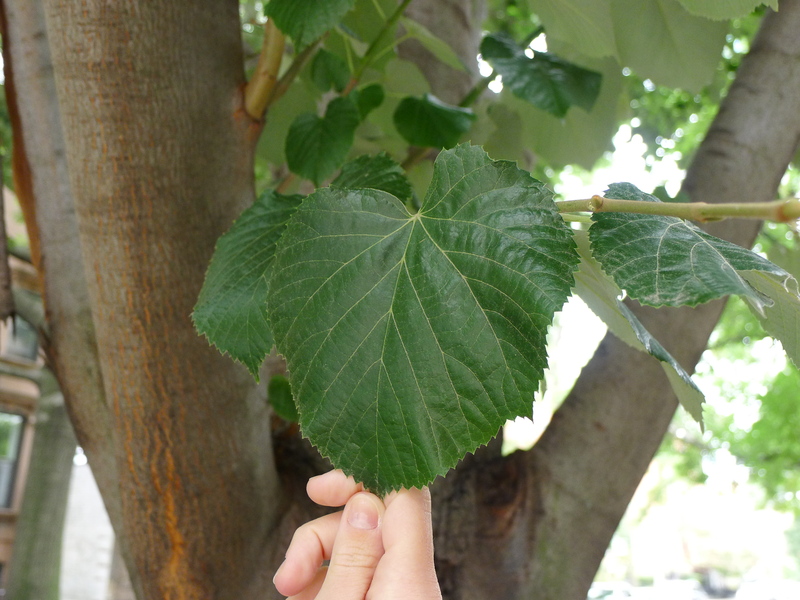 I also loved the shape of the Linden tree leaves – which were heart shaped but with what Lisa called ‘slopey shoulders’. 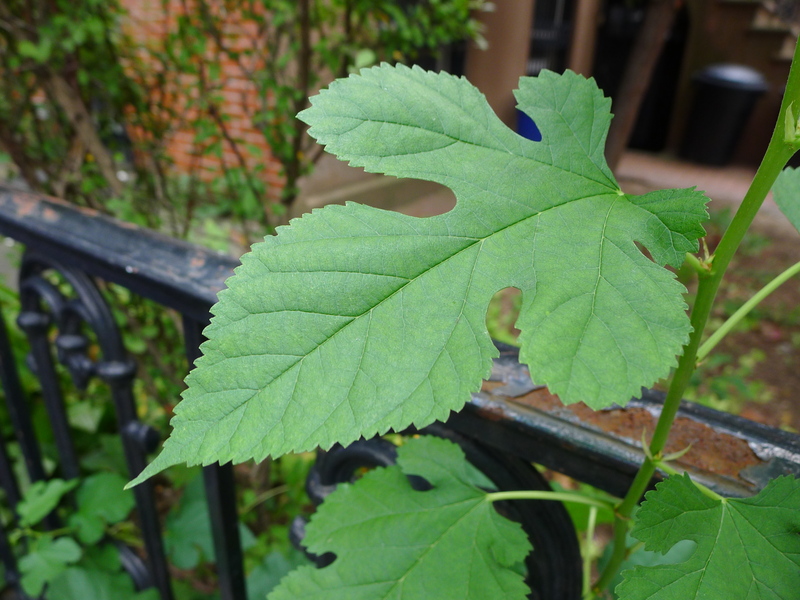 I even did a very convincing impression of one of the leaves. 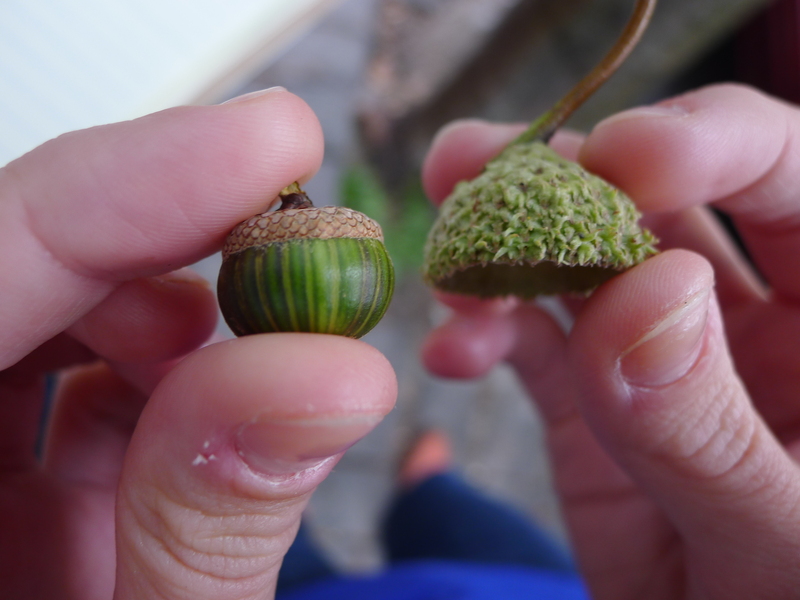 Hillary was particularly taken with the acorns and left with a pocket filled with the hats in different shapes and sizes. 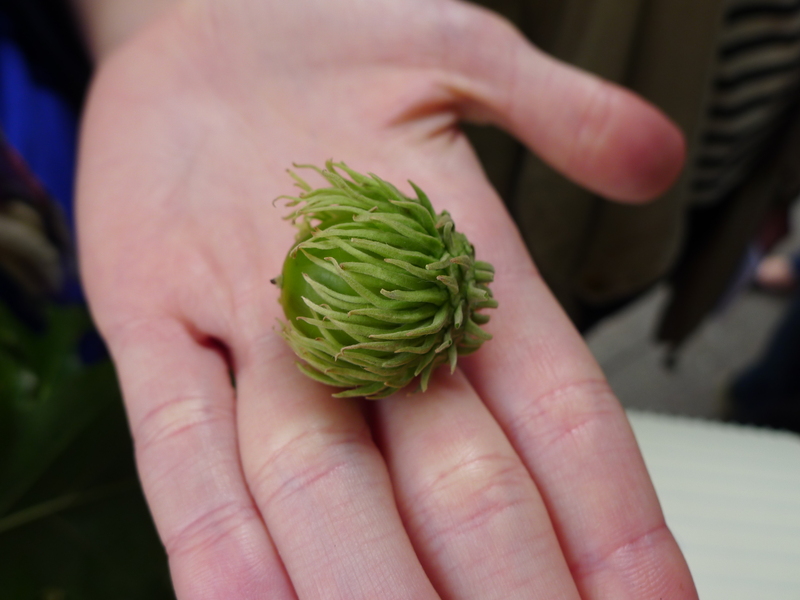 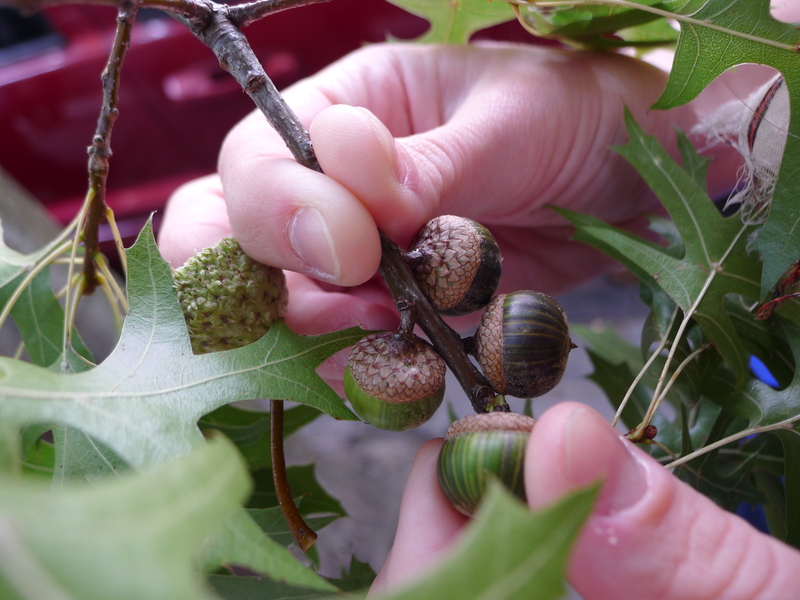 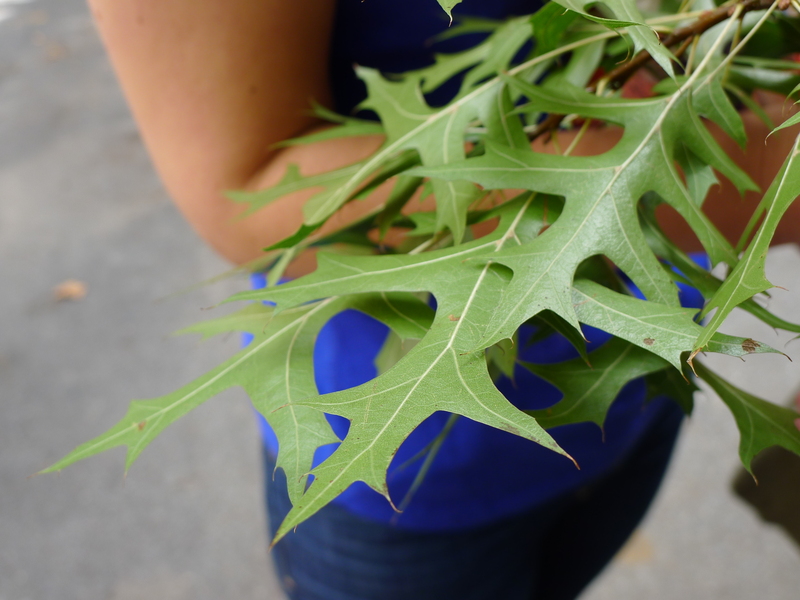 We both agreed the Pin Oak tree had the cutest acorns, which were like striped buttons, and the entire group oohed and aahed when Lisa showed off the another from the Turkey Oak, which was covered with long hair-like strands. 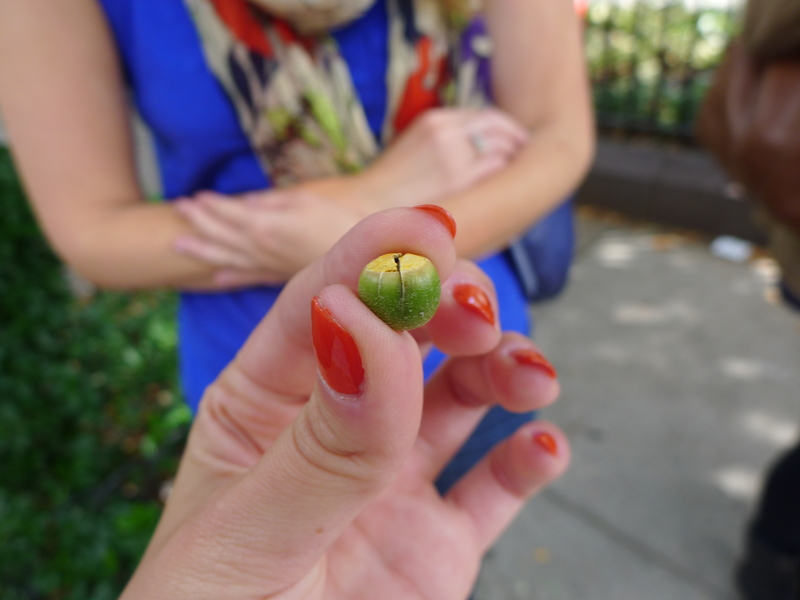 Those are found in Williamsburg. 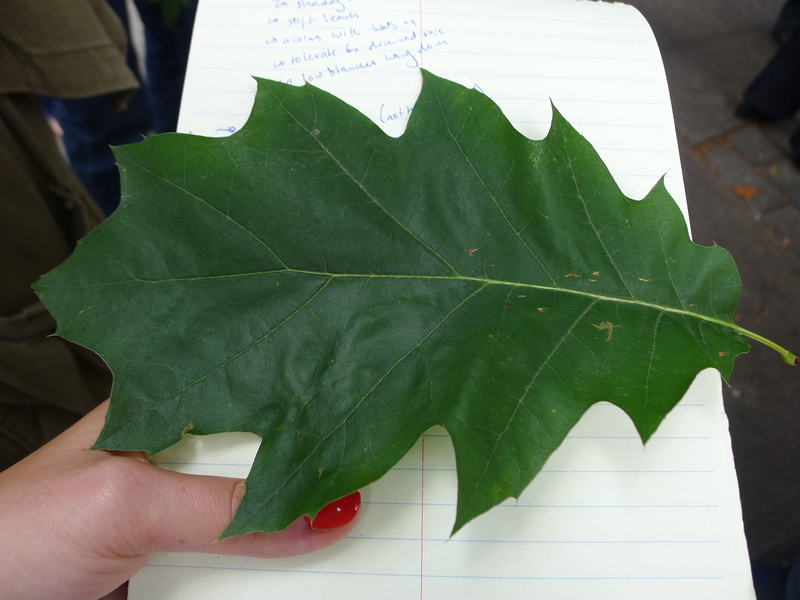 This was just a 90-minute walk, but I felt like I learned so much and actually stopped to look at these beautiful designs of the leaves and the patterns of the barks. 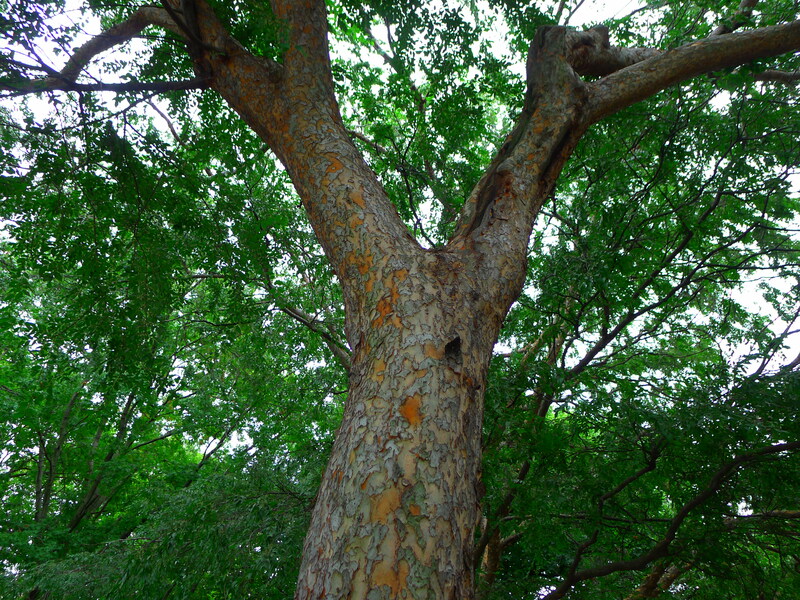 There was just so much to discover, from smells – the whiff of gin from a juniper berry or the peanut butter aroma after you scratch the bark of the Atlantis tree – and touch – like the furry underside of the Silver Linden or the scratchy exfoliating bark of the Chinese Elm.